All in pretty nice condition. Apparently Frank Zappa plays on some of these songs. 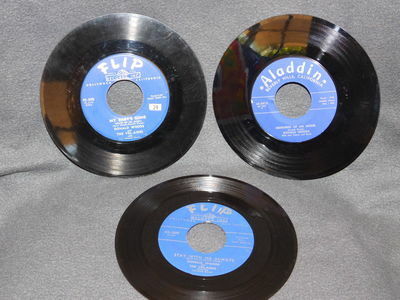 My Baby's Gone original Flip issue is VG with some moderate crackle and plays through fine. Memories of an Angel on Aladdin is EX. Stay with me Always on Flip is VG- and plays fine with crackle.